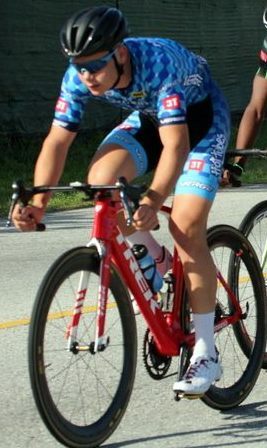 The Bermuda Bicycle Association Road Race season continued with the Bermuda Cycling Academy Road Race, in the West End. Matthew Oliviera won the Adult A Division clocking a time of 1:43:42.916, Kaden Hopkins was second in 1:47:24.201 and Gary Raynor finished third clocking 1:52:12.932. Caitlyn Conyers won the Women’s Division race with a time of 1:01:12.031, Jamie-Lee Wright was second in 1:01:42.133 and Cora Lee Starzomski was third in 1:01:45.988. The Adult B Division was won by Zianni Burgesson who stopped the clock in 1:25:54.658, Alan Mooney was second in 1:25:55.056 and Alex Miller finished third in a time of 1:25:55.716. Ricky Smith picked up the Adult C Division win clocking 1:00:14.990, Michael Thomas was second in 1:00:15.860 and Randy Smith finished third with a time of 1:00:16.048. The Junior A Division was won by Thomas Quarterly who was clocked at 33:55.301, Blake Oliviera was second in 35:06.056 and Enshe-Nico Davis crossed the line third in 36:38.802.